What a night! The 33rd edition of the International Automobile Festival took place on Tuesday, January 30th in Paris. 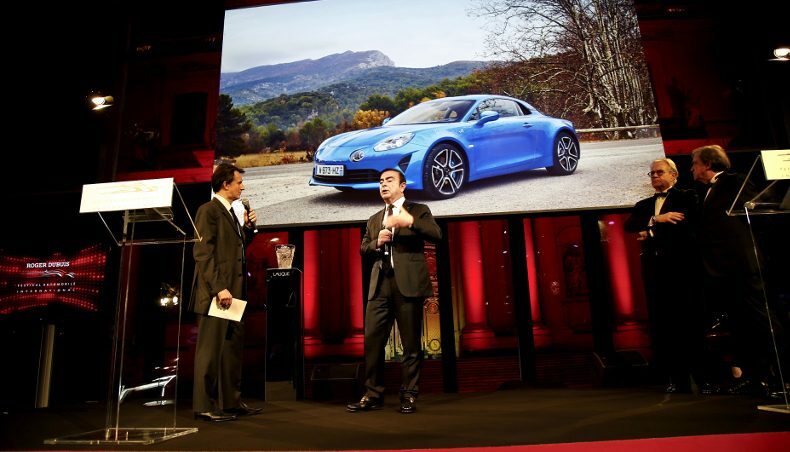 Groupe Renault walked away with three prestigious prizes, including “Most beautiful car of the year” for the Alpine A110. 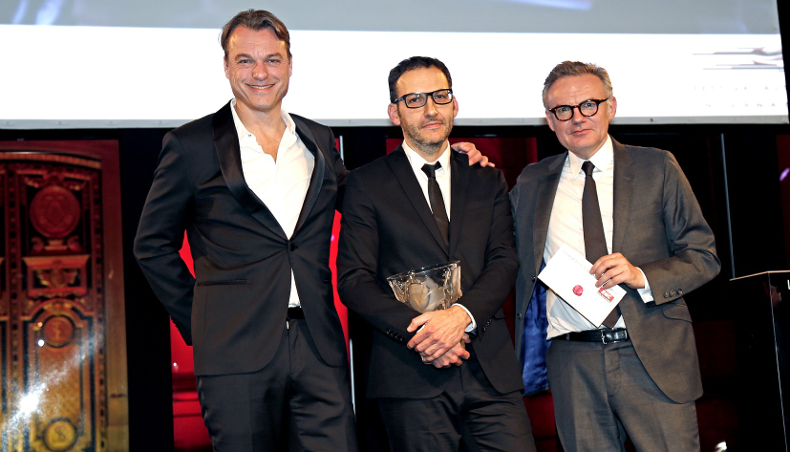 Carlos Ghosn, who received the “Palme d’Or”, and Laurens van den Acker, who won the “Creativ’ Experience” award, were congratulated for their innovative vision. 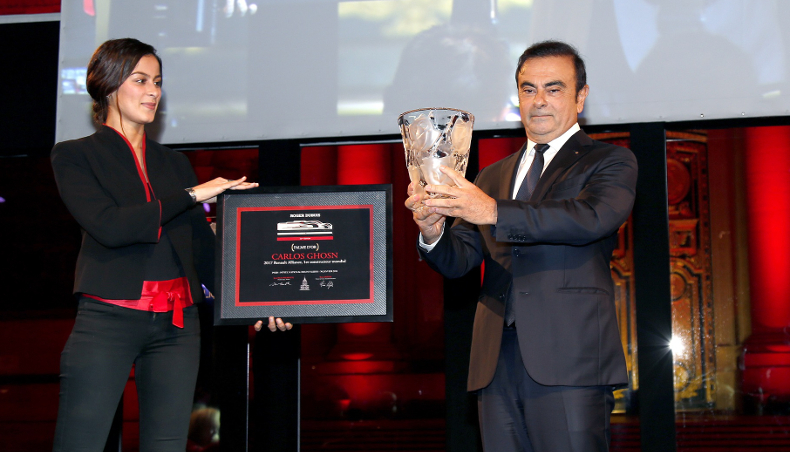 Carlos Ghosn was awarded the Palme d’Or trophy for Renault-Nissan-Mitsubishi as the world’s leading automotive group in 2017. This annual prize is awarded for lifetime achievement or for specific outstanding results in an economic, sporting or charitable sphere. As a societal and innovation key-player, Carlos Ghosn stressed Groupe Renault’s ambition to build healthier mobility solutions and a more sustainable future. “I am very happy and extremely pleased to receive this prize tonight. It is the result of a great team work, involving 450,000 people around the world, with Renault, Nissan and Mitsubishi” noted Carlos Ghosn. Laurens van den Acker, SVP Corporate Design accompanied by Stéphane Janin, director of design concept car, was awarded the Creativ’ Experience Grand Prix for the Symbios concept car. This annual trophy rewards manufacturers that offer an alternative vision of the automobile or new experiences in design or motorsport. “We are very pleased with this award, which goes far beyond a prize for a “beautiful car”, it also underlines our “vision” of mobility in the future with a house, a concept car and a demo car. So it was Renault’s positive, customer-focused approach to the topic of autonomous vehicles that was rewarded this evening. I would also like to stress that this work is above all a team project in which architects, designers and engineers collaborated,” said Laurens van den Acker. 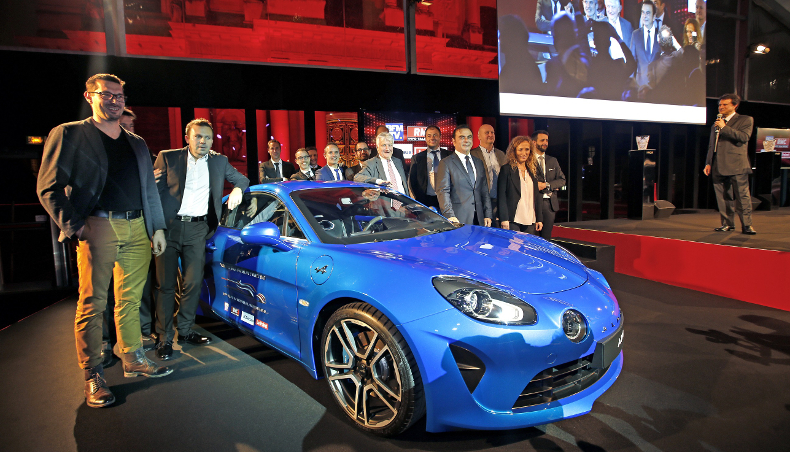 Last but not least, the Alpine A110 was elected “Most beautiful car of the year” thanks to the support of over 120,000 voters. This prize rewards the work of Groupe Renault teams in reviving a brand that holds legendary status in French motoring history. Although the new A110 marks the rebirth of the Alpine, it is also faithful to the brand’s original and distinctive virtues; it’s a lightweight, elegant sports coupé with an emphasis on agility and driving pleasure but without compromising everyday driving comfort. 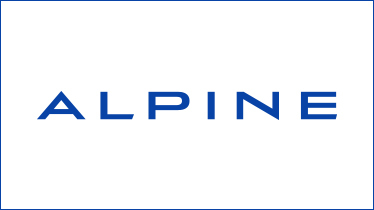 This is the second time in three years that Groupe Renault has received this outstanding prize, after Talisman in 2016. What a wonderful end to an unforgettable night!